It looks really good and of course I’m going to try it but cut the quantity down. Like with 1/4 cup ratios. 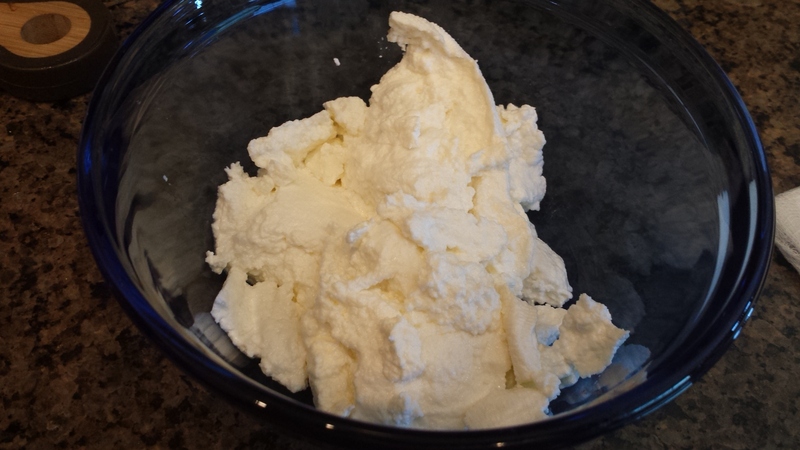 Recipes often call for a small amount of ricotta and then I waste the rest of the container. Did you think this tasted better? I actually cut the recipe in half, and it worked fine. It’s just 2 cups of milk to 1/2 c. cream. That renders about a cup of cheese, which was perfect for my recipe.To be honest, I have never directly tasted store-bought ricotta cheese, but this tasted good. In her blog, Ree Drummond said that she uses this recipe as a spread on crackers with a touch of something sweet, and it would taste good that way. I’m going to try it. It might impress the kids. I glad you mentioned where you messed up…I tend to skim recipes myself (causing a fail)!